How’s this for a beast! Returning home from another relatively unsuccessful day on the hard water yesterday evening, I stopped by the grocery store and bumped into an old friend I met and shared great times with back in University. As is the case with many friends now, meetings are fleeting and conversation is innocently frivolous. Don’t get me wrong, this person is a good friend whom I hold dearly. It’s just that I couldn’t help but notice something hasty about her mannerisms; like something was amiss (or afire). She was friendly, but her mind seemed elsewhere, not in the moment, as though this interaction was idle time in a never ending race to nowhere. She has two beautiful kids now and both looked like the grocery store was the last place they wanted to be. I suppose that is perfectly understandable. After all a grocery store is probably the most frustrating place to be for a child. All that great junk food and cool stuff so close, yet so far away. As they tugged aways at mom’s sleeves, pleading as kids typically plead in grocery stores, they gained very little interest other than a generic and slightly exasperated “no dear” or “not now honey” every now and then. We caught up on the usual trivial stuff until came that point you feel it’s probably best to keep things brisk. We politely parted ways but not before she asked if I still “fished all the time”, to which I awkwardly and somewhat embarrassingly answered, huh yeah, kind of, not without feeling a certain sense of…inadequacy. That night as I lay in bed I thought about a lot of things. 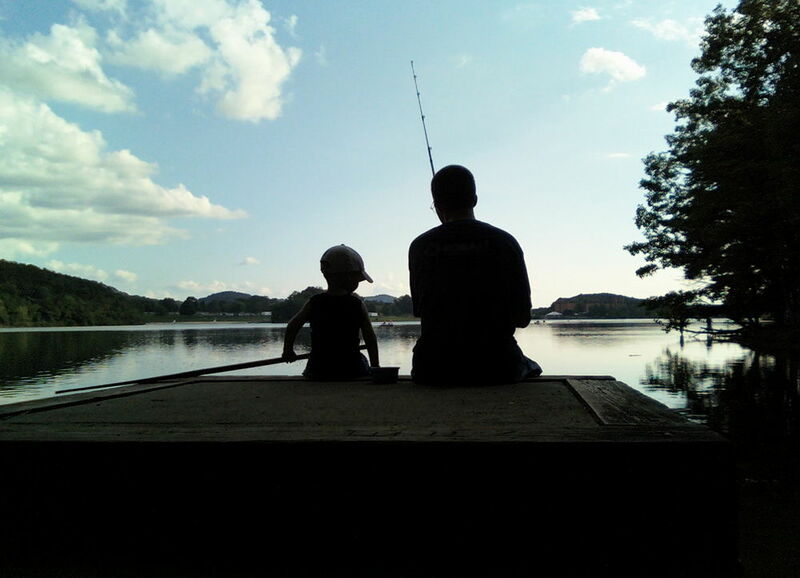 I pictured friends married, with kids and thought about my own situation, not married, no kids, fishing “all the time”. I thought about her question a lot for some reason and part of me wished I had answered differently. It dawned on me that to some, fishing can perhaps be misinterpreted as a way to avoid responsibility, even as a little antisocial maybe. And I wish I had taken the time to explain to her that this wasn’t the case, that fishing is so much more than just about catching fish, and that maybe I’m just not in a hurry to have my arms tugged at at the grocery store. So why do we fish? As it turns out it probably would have been a long answer given the situation. We fish because it keeps us healthy and young at heart. Fishing lets us explore not only lakes, rivers and streams, but also our own minds and personalities in a very intimate way. We fish to get away from the mundane and the ordinary, to dream, to feel and to imagine. We fish not to make sense of it all, but to make sense of a few precious moments when everyday problems vanish. We fish because squabbles over spots are enjoyable in nature compared to real life contentions. Fishing brings us joy and exposes our most honest and true personalities. It allows us to show our true colours and bond with family and friends in a way that few other activities can. It has the power to trivialize arguments, and bring us closer together. At times we fish to forget, at others to remember that life shouldn’t always be taken so seriously. Fishing provides emotion, sometimes elation, other times despair. 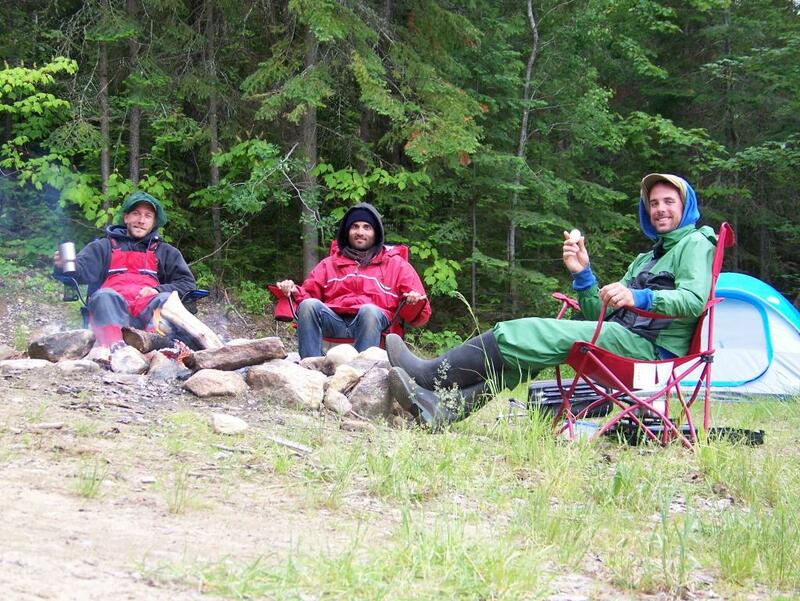 We fish because we have a bit of spare time after a hard day’s work or perhaps conversely, to procrastinate. Fishing brings us back to our roots, it reminds us that we are providers, that we can be successful, that we can achieve. Fishing does at times however, also teach our blind exuberance and overconfidence a seemingly cruel, yet in the grand scheme of things, necessary lesson. At times we fish to put things in perspective, to take time aside to understand a loved one’s point of view. At others we seek the bigger picture with nothing specific in mind a day on the water seems to often unpretentiously and graciously provide. Sometimes we fish simply to kill time, but often also to attempt to slow its pace. A day on the water can provide a sense of pride and accomplishment when something has you feeling down. Fishing can create confidence yet also has the uncanny ability to keep you grounded and profoundly humble. We fish to feel a deep sense of interconnection with nature, to feel like we a part of something bigger. We fish to watch the sunrise and sunset on the longest day of the year. We fish to get to know ourselves, to compete with, poke fun at, and get to know one another. In doing so, we create lasting friendships and get to know people at their very best. Fishing is a challenge. It allows us to seize the day, to battle the elements but more importantly to learn that when we want, we can if we put in a little effort. We fish to allow a picture-perfect morning to live up to its potential in a most natural way, to learn to let things unfold as they may. We fish to have stories to tell. In seeking the next bite, sure we look to catch a fish, but in our quest we gain much more than just a meal, or the excitement of that moment. What we truly gain is wisdom, respect and humility. Each time we hit the water we learn something, we become better versions of ourselves and grow as human beings. The gift we receive in exchange is to have the privilege to share this knowledge with our sons, daughters, husbands, wives, friends and anyone else we hold close to our hearts. This is why we fish. Most important of all however, we fish to be free. Deep Cabonga Wilderness and Lakers! I remember watching a fishing show on Cabonga Reservoir as a kid and immediately feeling intrigued about the area. It’s one of those big bodies of water that carries with it a certain lore and spirit I’m immediately drawn to. 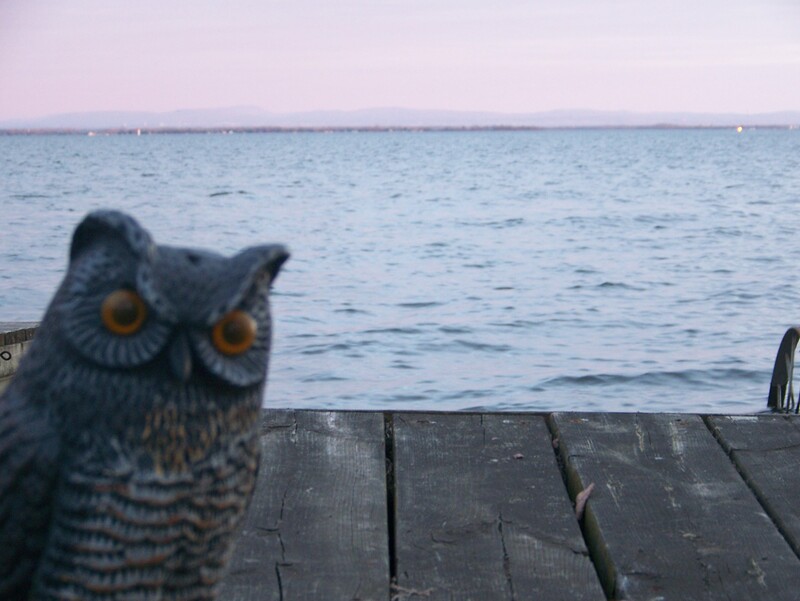 Big bodies of water trigger in me an irresistible feeling of adventure and discovery. They command respect yet begged to be explored. They can be calm and soothing or dangerously threatening. Life around their shores is different than life on the main land or near smaller lakes. People organize their way of life around these types of lakes and define their unique personalities and lifestyles via their interactions with them. Each year I try and visit one of these magical places and this summer I decided to scratch Cabonga Reservoir off the bucket list. Cabonga is an immense man-made body of water that sits on the Eastern side of Réserve Faunique de la Vérendrye in central Quebec. The reservoir is huge, with a total surface area of 677 square kilometers and net area of 484 square kilometers. 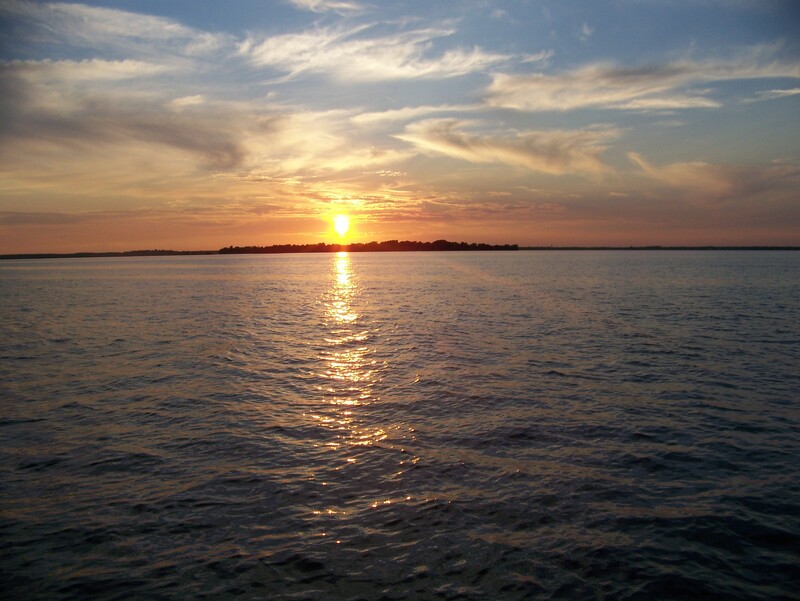 It is littered with hundreds of islands and offers some 4500 kilometers of shoreline. One could spend a lifetime exploring it and unraveling its many secrets. We spent 10 days up there staying in tents on the beautiful wild shores of the immense reservoir near the Cabonga Dam. 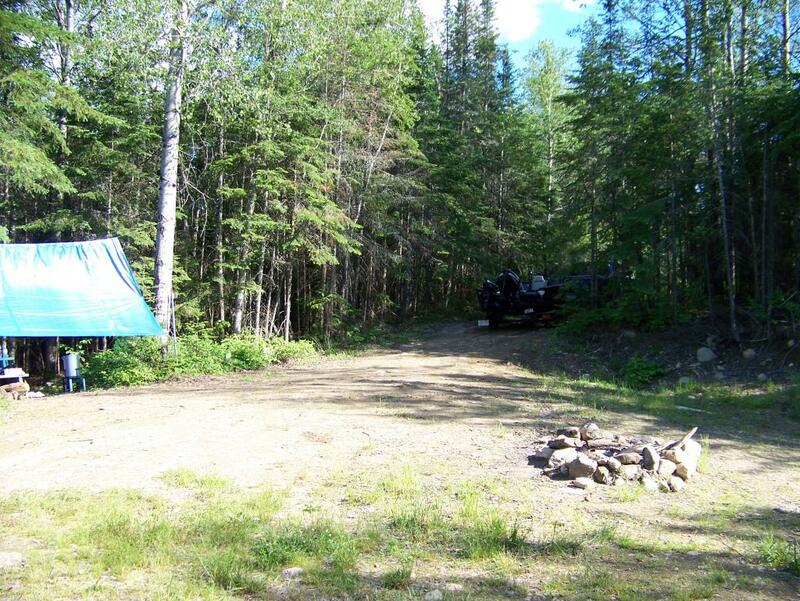 The SEPAQ has different categories of sites you can rent, and this one is what they call “rustic” camping. 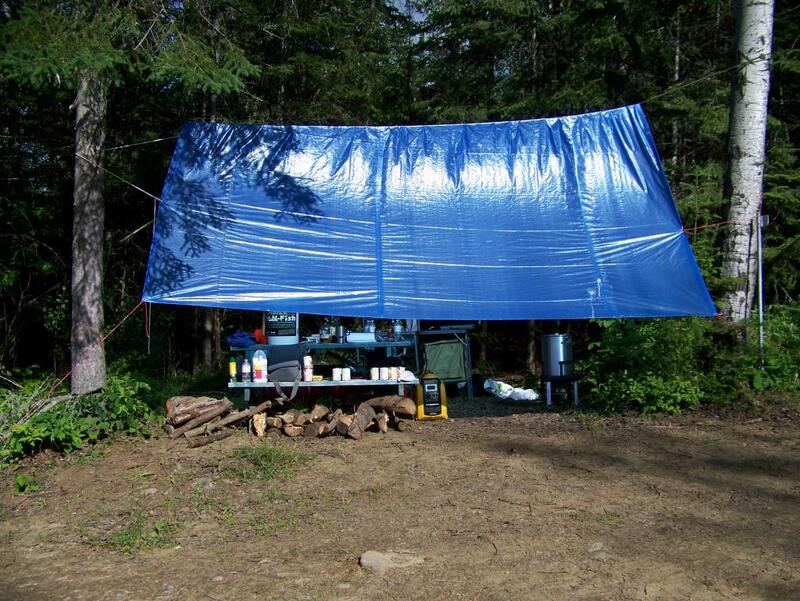 Although there are no amenities like water or showers, there is a maintained port-a-potty and bear proof garbage cans. Otherwise that is about it, so you need to plan ahead and make sure you bring enough food and water. The campsite we chose is up a 48km winding and hilly dirt road (should be called a driveway really) off the 117. If you’re looking for absolute quiet, you might want to find another spot because you can hear a constant low rumbling of the hundreds of thousands of gallons going through the dam here, thought it is a very soothing sound. Now let’s get to fishing! 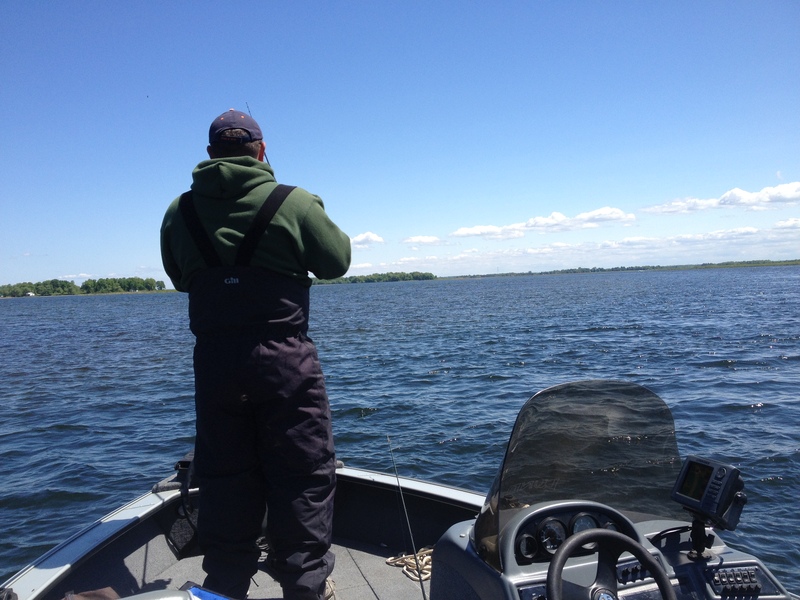 After doing a bit of homework and speaking with local guide Jimmy Lachapelle I decided to target the largest part of the reservoir near Barrage Cabonga with the hopes of finding early season walleye near the dam. Jimmy told me that part of the reservoir had better Lake Trout fishing than Walleye fishing but I figured I’d still be able to find some eyes on some of the shallower structure. 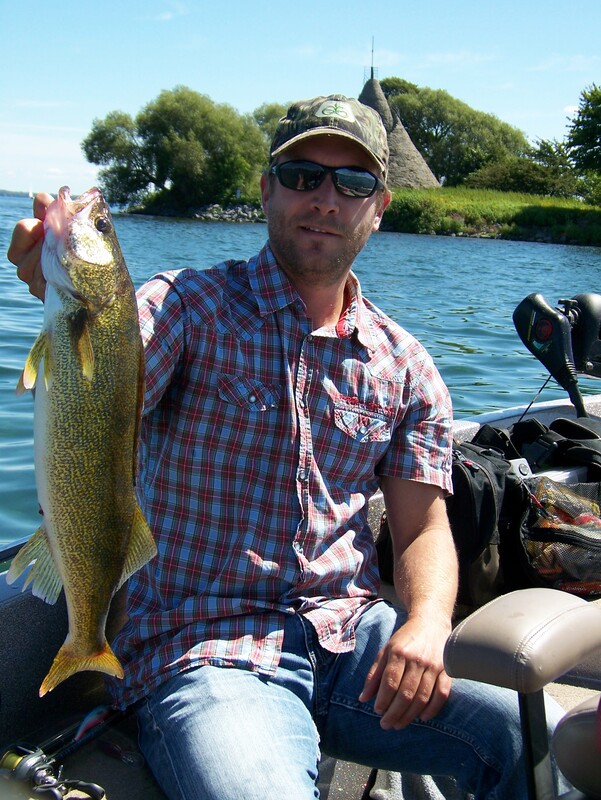 We did find a few small walleye on typical structure like sunken islands and reefs, but it was very slow. 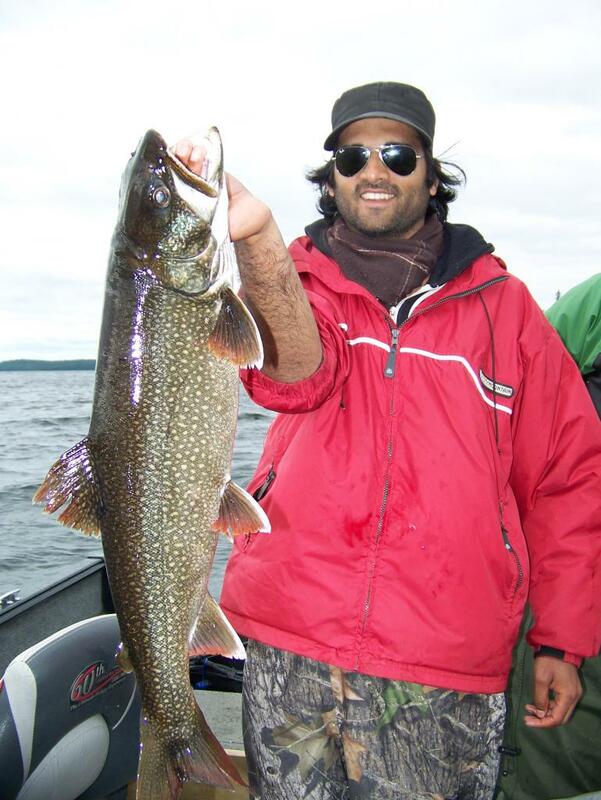 I guess my reticence towards going for lakers is that, well, I have never fished for lake trout at all. 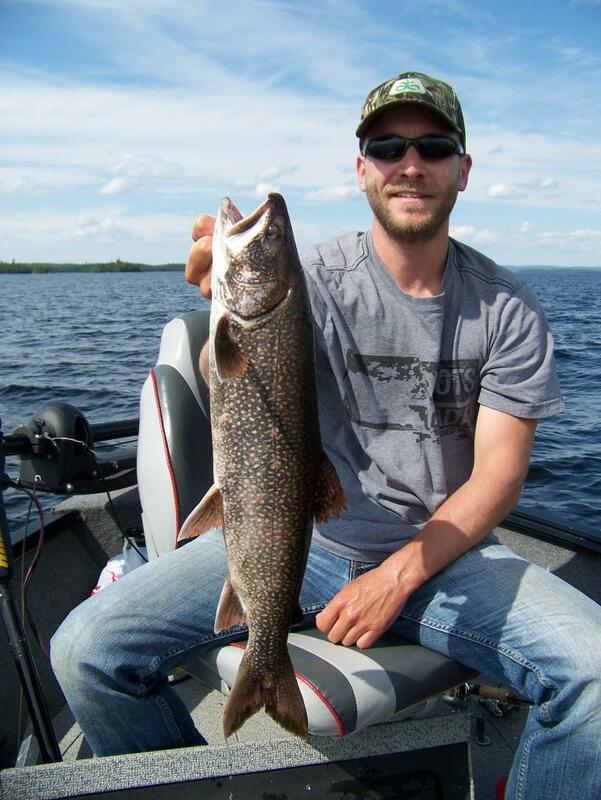 In fact, before this trip I had never caught a lake trout. So the question was, where to begin? 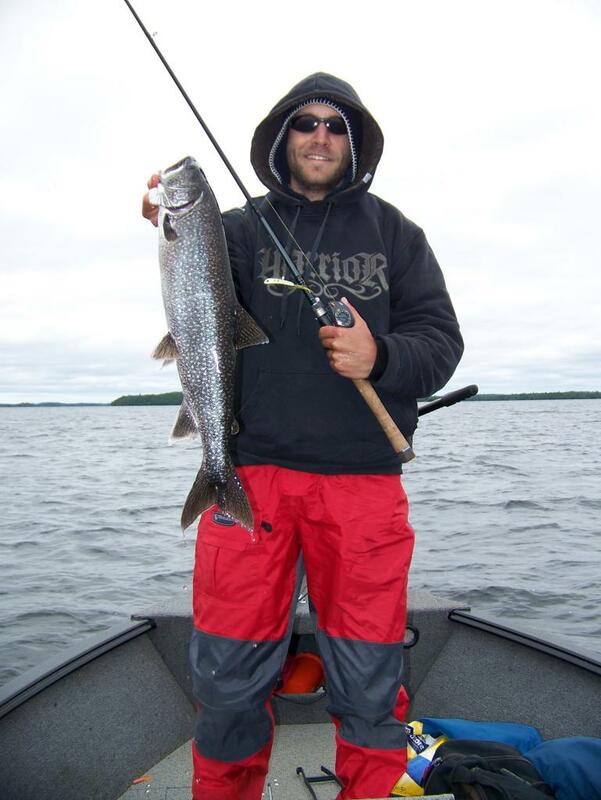 There were 2 or 3 other groups there who were fishing lake trout and they did provide a few good pointers, however all of them were trolling deep water and I don’t have downriggers. With 3 guys in the boat we had to come up with a plan to present lures deep without too much hassle so I did what I often do, I started jigging. It didn’t take long for us to realize we should have started doing this from the onset of the trip. Remembering a tip from one of the other group members, I located an area between two deep humps that looked much like a funnel on the map and dropped down a jigging spoon. I used the light wind to my advantage by positioning the boat in a way that would allow me to cover most of the structure, and was able to control the boat very precisely with the help of the bow-mount coupled with a drift sock behind the transom. This allowed me to keep the 3 lines vertical and separated keeping the boat inching along slowly. After only about 50 feet, bang! Fish on! It hit like a truck and hugged bottom, after a few minutes of pure power I had my first ever lake trout on a jig in the boat. I’m not about to forget that feeling. The part of the Reservoir we were on was its deepest and most open section, and by that I mean the area where there were fewest islands. I started looking for arches on the sonar on the edges of the really deep areas. The main lake basin is 300 feet deep in some areas, and is basically a big deep bowl with a few shallower reefs and edges. I started noticing that there were a lot of higher points that reached up to 40-50 feet at the top and bottomed out to flats in about 80 feet of water. The flats acted as highways for fish between the really deep basin and shallower water. The magic number seemed to be about 80 feet, once I found that depth near really deep water and near shallower structure I began to zero in on the fish. Here’s an example of what I’m talking about. This is the type of area we found fish on. If you notice, fish here will have access to anything they want. There is a very shallow point up top and bottom, deep water off to the right and left and a “highway” right down the middle. As far as presentation goes, we used everything from large twister tails on a 1oz jig, to jigging spoons and glow jigs and they all seemed to work. There was however one important common denominator. They had to be white or close to white. Before I left for the trip, my friend Simon handed me three colours of this one lure that outfished all others we tried. He handed me 3 colours; white, silver and chartreuse. We caught most of our fish and our 2 biggest ones on the white one, a few on the silver and not a single fish on the chartreuse. Same with the other jigs we used, flashy colours and darker colours simply did not produce. White was the ticket. Which is odd, because these trout were spitting up crawfish. Another interesting thing is that lake trout up there definitely suspend. I was letting my jig down over 90 feet of water at one point and realized it just stopped sinking about half way to the bottom. 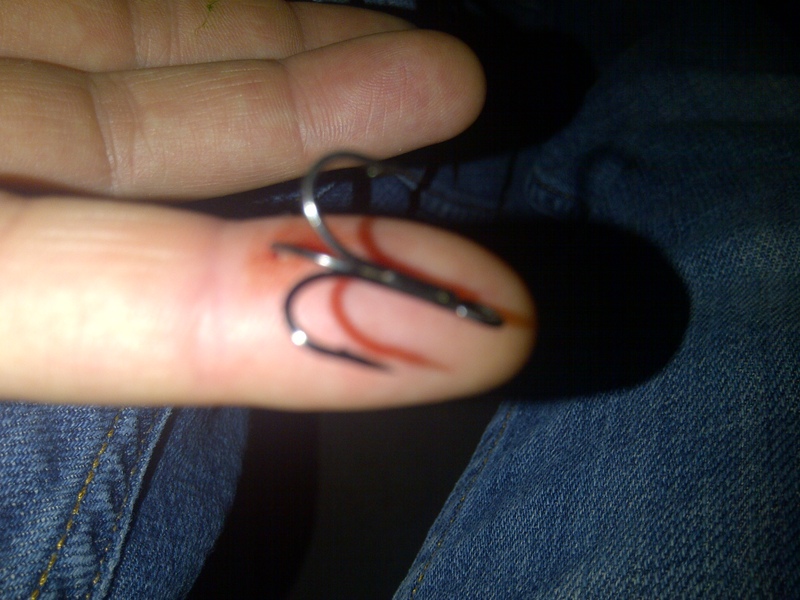 I tightened up, felt weight and set the hook. Whatever took my jig was a big fish and it bolted to the bottom peeling drag. Unfortunately, the hook didn’t stick and I was left with a few scales as a souvenir. Hey, every fishing story includes the big one that got away right? Luckily, this one, which ended up being our biggest, didn’t. Overall we had a great time up there and I’d go back in a heartbeat. It’s very secluded and isolated, so if that’s what you’re looking for you’ll be happy here. Just keep in mind that if something goes wrong with your engine there are chances you could be stranded for days as there is no cell phone reception in most areas and it’s such a huge place that finding you would take a while. So it’s very important to keep safety in mind up there at all times. Having said that, the beauty and raw nature up there definitely draws you in and immediately allows you to forget the daily grind. There is nothing like heading in for shore lunch on a beautiful day with fish in the livewell. Later that day, the lake offered us a gift. We were treated to one of the most beautiful evenings I remember experiencing. 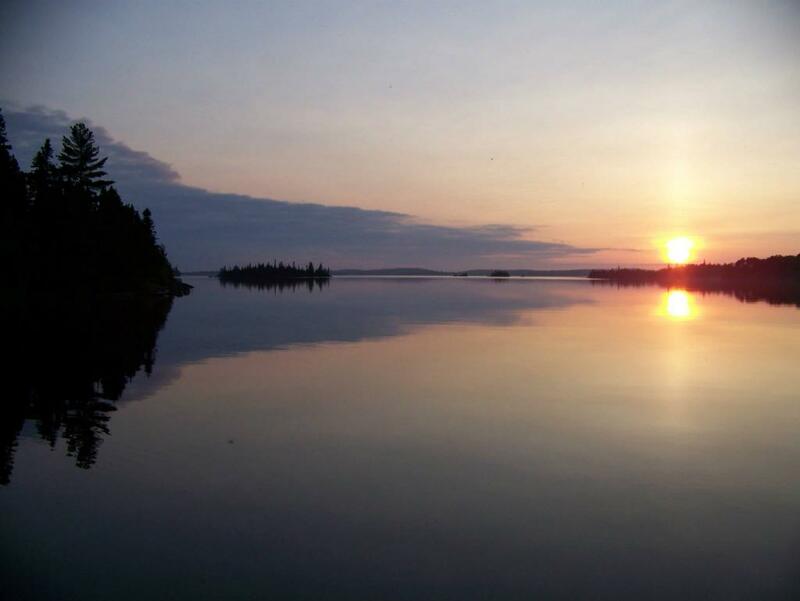 As I look at this picture and recall the moment, I remember the distant call of the loon and the feeling that at that precise time nothing mattered. There were no jobs to wake up for, bills or petty problems to worry about. The only things on my mind were the distant call of a loon, the sound of a cozy fire being started in the background and a waiting sleeping bag in a tent. And to me, that’s what a trip like this is all about. 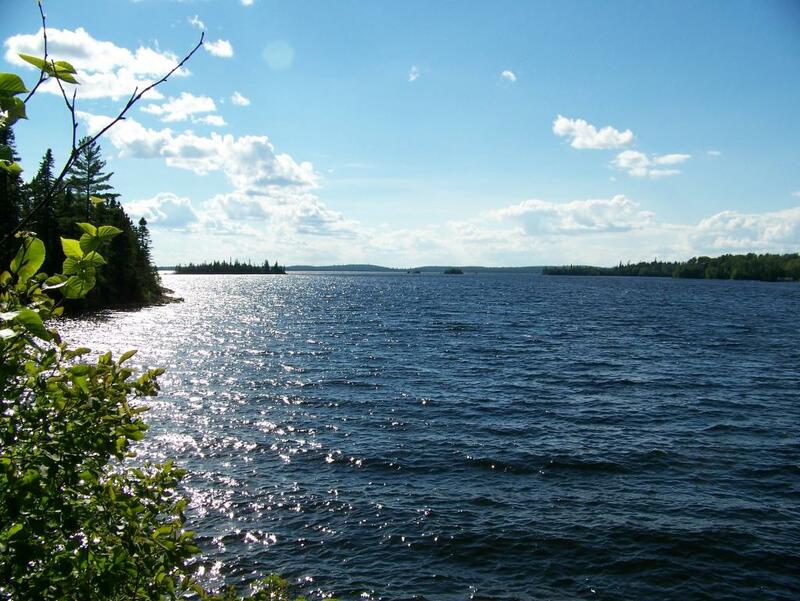 Late Summer Weekend Update, Lessons, Lesions and Aqua-View! When most people finish work on Fridays, I assume they make plans to gather with friends and share some good times together. If you’re anything like me, that means getting ready to escape the daily grind and hitting the water for a precious 48 hours. Ok let’s make that 30 or so because like most of us mortals I do need to sleep unfortunately. Two Fridays ago, I was heading home from work and preparing for another day on the water when I received a last minute Saturday morning surprise invite from local guide and 2013 South Lancaster Fish and Game Club tournament winner, Ryan Flaro. One of Ryan’s clients had cancelled for the morning and he had a few hours to spare. Despite already having tentative plans, I figured an invite from someone who has that amount of experience and the credentials to go with it was hard to pass up. So I graciously accepted. After a quick chat and a coffee we hit the water by 8am. It didn’t take long before we were onto fish. And by onto fish, I don’t mean catching them, well at least not right away. Ryan and I both knew that fishing’s been tough this year, so we decided to have a bit of fun with his underwater camera. No sooner than a few minutes after we made it to our first spot, Ryan threw the camera down and revealed surprisingly clear images of the world below the surface. I have an Aqua-View as well, but must admit I rarely use it because of the low-resolution image and difficulty seeing the screen in the bright sun. I think it’s dated to the rotary phone era. Thankfully Ryan’s model isn’t as archaic. His has a colour monitor and incredibly clear resolution which definitely makes the experience much more enjoyable. It was great to explore, take our time and not feel pressured to catch fish for a few hours. I was amazed at how many walleyes hold on a given piece of structure, but more importantly, how they gravitate and stick to a specific part of that structure; the proverbial spot on the spot, if you will. Watching them swim nose up against the current is both fascinating and mesmerizing. 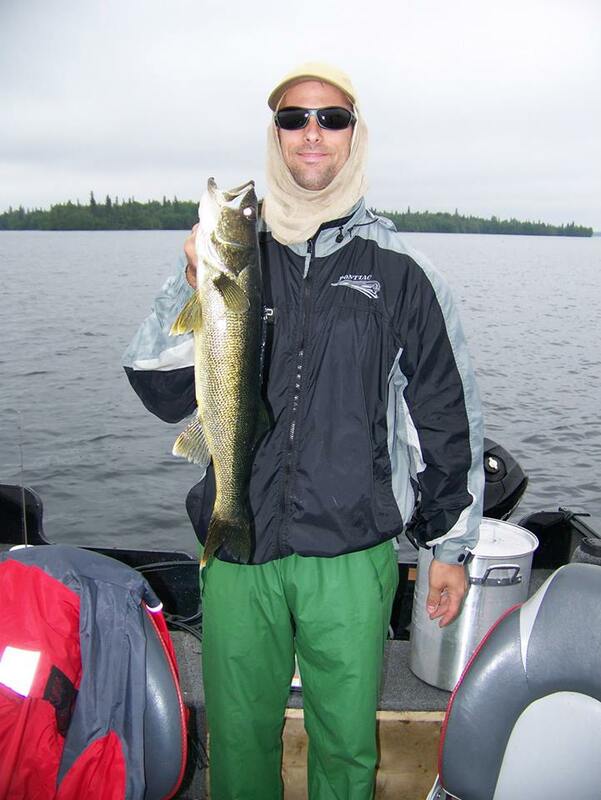 I love watching walleyes in their natural element. They have incredible poise and grace underwater and are masters of their element. Based on our observations, Walleye seem to gravitate to open patches near weeds that offer some current and a hard bottom. If that area offers scattered stones or boulders even better. Years of fishing this lake teaches you this and one gets good at finding these spots by reading the water, but seeing it live with the help of a camera opens up a whole new realm and brings imagination to life. It’s really fun to just watch and learn sometimes and fun was what this outing was all about. There comes a moment, however, when the urge to catch a fish takes over. Now that we’d taken a look it was time to drop a line to see if we could get them to react. We went over fish we had just seen, and no matter what we tried, there were no takers. We moved from spot to spot, covering miles on the water in the process and despite not catching any big fish that morning we managed to put a few in the boat with a bit of persistence and precision. By the time we headed back in at noon, we had enough for at least a good snack. Overall we had a great morning, I’ve know Ryan since we were kids, we grew up as neighbours, but oddly enough, this was the first time we ever fished together so it was great to chat and share our fishing experience. 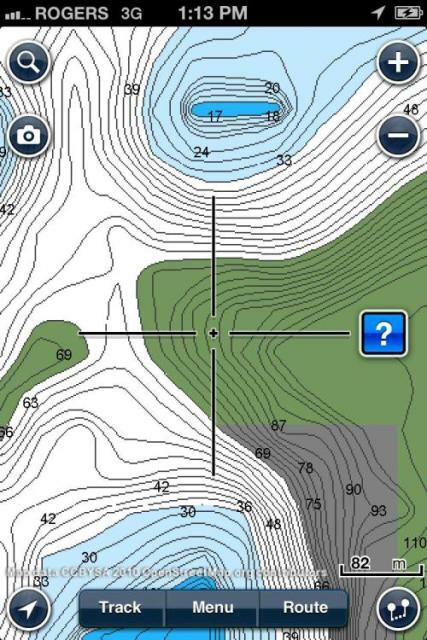 It was interesting to see that we fished a lot of the same spots, but fished them quite differently. We also exchanged a few spots that were new to both of us. I especially appreciated the time Ryan took to show me where walleyes were holding on some of the structure and the expertise he took time to share. That beautiful Saturday morning getting to know Lake St. Francis reminded me why I spend so much time fishing in the first place. It’s not always about competition or filling up the livewell, sometimes it’s important to revive the childhood passion that originally drew us to the water and ultimately keeps us going back. I often get asked how I know where fish are and where to find them. the answer is often that I honestly don’t know. So every outing is a search, more than it is a get, if you know what I mean. 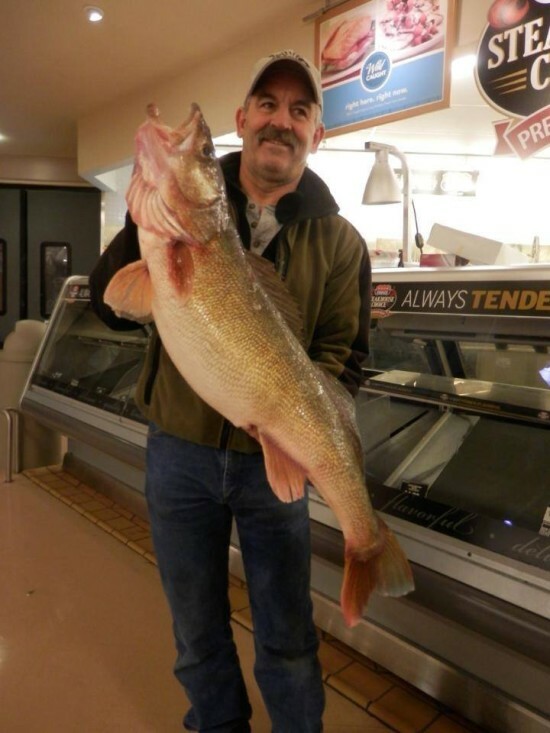 Walleyes are migratory critters. They move as the environment in which they live changes. Weeds are a big factor in driving that change. Much like land vegetation, aquatic weed growth starts in the spring as the water warms and immediately begins to attract baitfish and predators. As weeds grow over the summer months, they provide shade, slightly cooler temperatures and food. 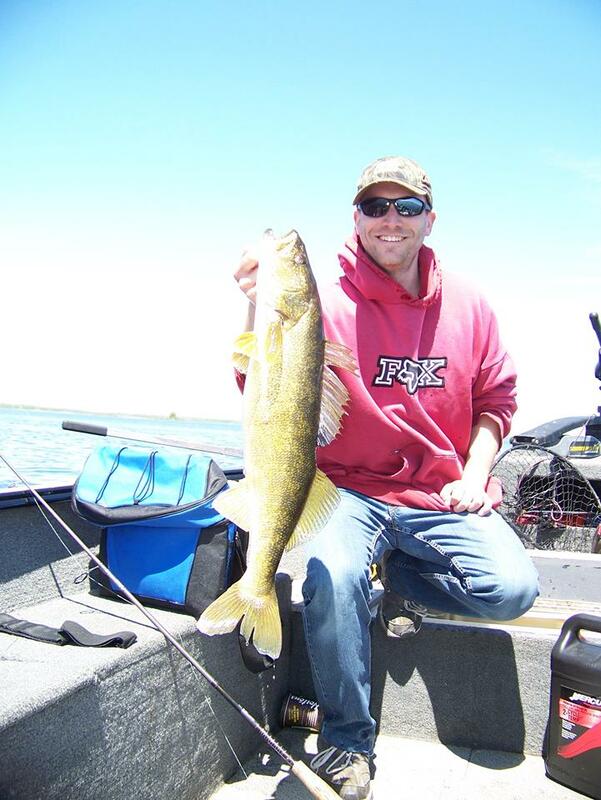 In the winter, when there are no weeds, walleyes will congregate on huge flats near spawning grounds, rocky points, sharp break walls, or rock piles in deeper water. Finding fish is however only half the battle. 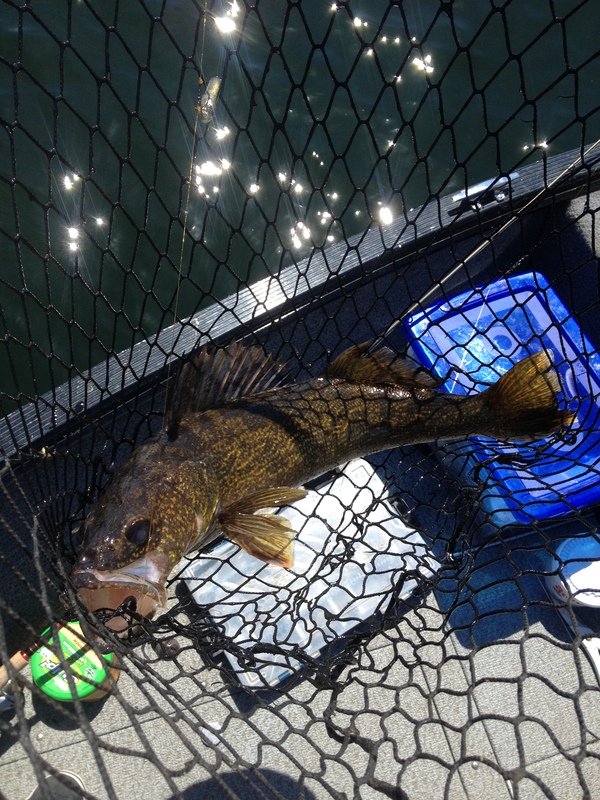 As anyone who’s ever spent time trying to catch them will tell you, walleyes are also extremely finicky at times. Our Percidaed friends can be notoriously frustrating in that aspect, resulting in the occasional ever-so-humbling goose egg. They seem to respond to triggers when it comes to feeding. This becomes quite apparent when ice-fishing near other anglers for example. Take a situation where there are multiple anglers with holes drilled a bit everywhere in the same area and you will notice patterns of when people are catching fish and when they are not. Sometimes an hour can go by without a fish caught, then seemingly out of nowhere people start catching fish regularly for the next hour. Wait twenty more minutes and the bite goes cold again. What turns them on and off is often a mystery, though experience tells me one sure way is to get distracted by a cell phone. Check your cell phone and you’re guaranteed to miss a bite, especially on those slow days :). In all seriousness, I’ve personally seen fish in 15 feet of water or less hugging the bottom and if it weren’t for their gills moving you’d think they were dead. I recall one time when I could bump a jig off the fish’s back and nothing would get them to strike. I remember another where a school of over 20 large suspended walleyes sat in the middle of the channel in broad daylight, about 7-8 feet below the surface. My friend an I tried everything to catch them, but to no avail. At other times, you can’t keep lures away from fish. 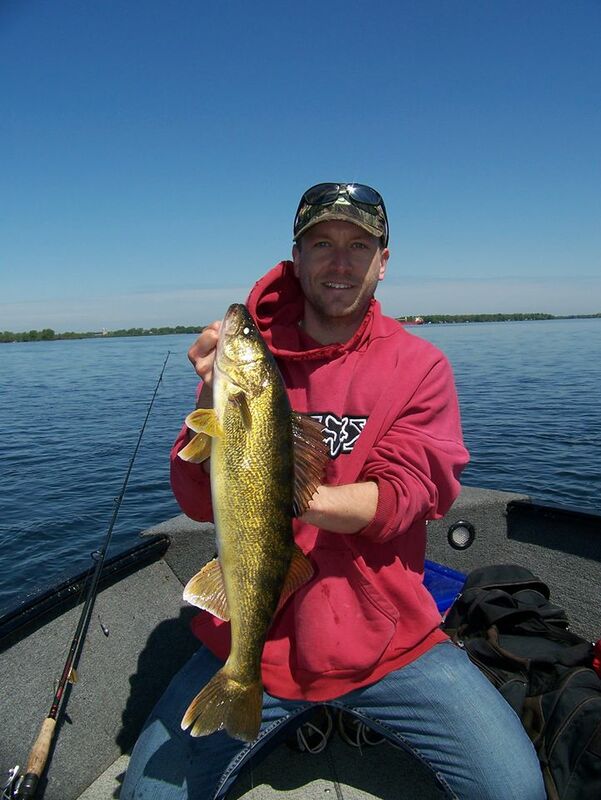 I’ve had walleye chase a crankbait to the side of the boat like a musky, bass or pike would. 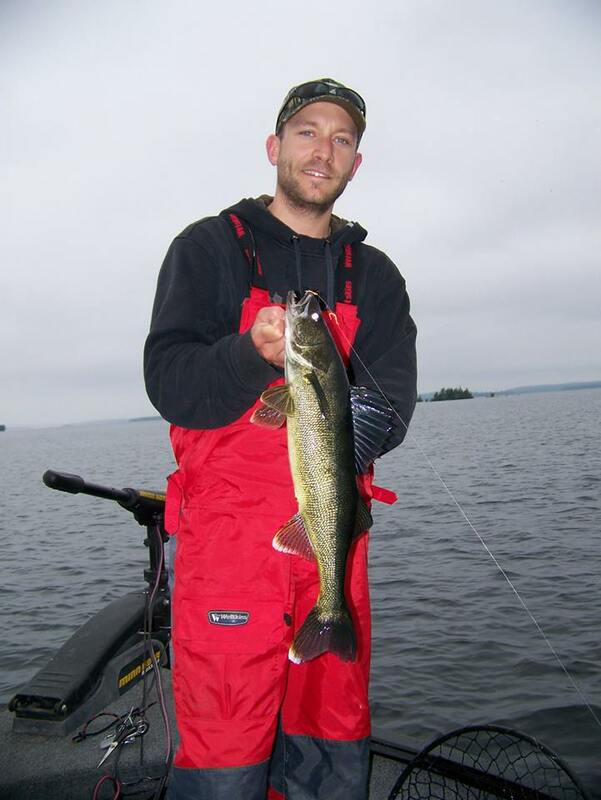 I also remember an outing with my buddy Mike when we were drifing spinners with the current and the fish were hitting the spinners as we were reeling them up to the boat. They were spitting up tons of baitfish too. Just this past weekend I caught a 4 pounder reeling in a crankbait when I thought I was done fishing a spot. The fish hit my lure about 10 feet from the boat, in about 5 feet of water while I was over 30 feet. That fish was either suspended off the structure, or it followed the bait and chased it up the water column to the boat. Needless to say they were aggressive that day and ended up with over 15 fish caught. The very next morning a cold front moved in, the wind blew strong from the North, and I came home empty-handed (and freezing) fishing the same spots that produced so well only a few hours earlier. That’s just the way the cookie crumbles in the game of fishing for walleyes. Sometimes they are on, sometimes they are not. Sometimes it’s jubilation for the crazy guy on the water, sometimes it’s despair. 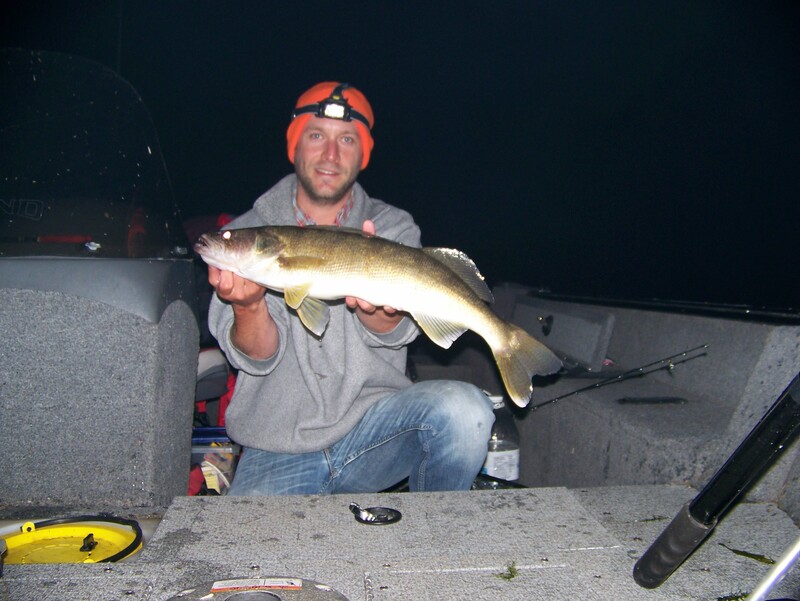 As I mentioned earlier, Ryan and I’s observations revealed that walleyes were holding just off the edges of weeds, on rocky/sandy flats that offered a slight to moderate current. 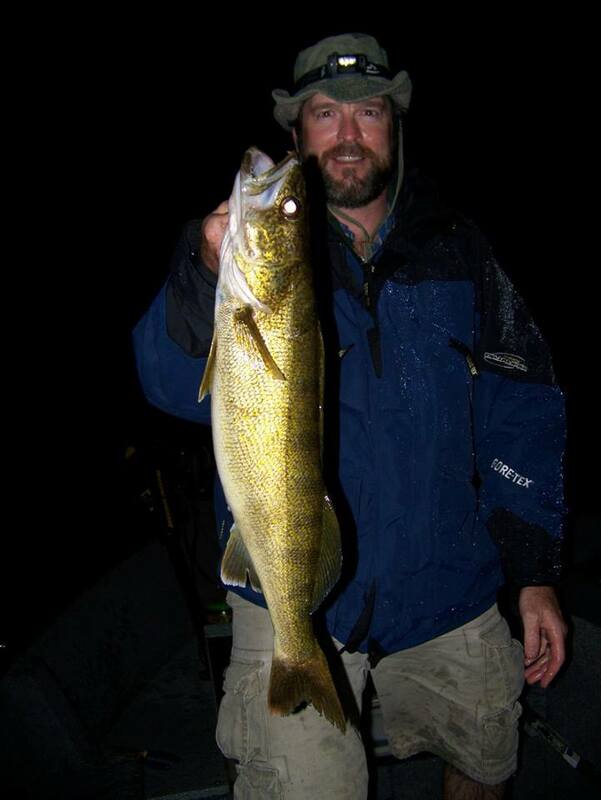 Seems to me walleyes love edges. I always knew this from trial and error, but looking at fish in their element drove the point home for me. They will hold right where the weeds end and the sandy/rocky bottom begins. It’s their comfort zone. There are however, exceptions to every rule. One one spot Ryan called “home”, I learned and witnessed proof that they also sometimes hold right on top of the weeds, seemingly in the middle of nowhere. Sure I’ve seen walleyes hide inside weed edges and have heard of bass guys finding surprisingly large walleyes in reed beds and lillypads, but I didn’t know they also sat directly on top of weed beds in open water. This was indeed the case in this location. The area consisted of a saddle in about 10-12 feet of water between two deeper holes. It’s off a point, and also provides plenty of current. The weeds, shallow water and unusual structure layout makes the spot very difficult to fish because there are no open spots to put a lure. And personally I would not have thought to even look at that spot, but they are definitely there. As most good things usually do, our short outing ended too early. I spent that afternoon catching up with my buddy Eric. We took advantage of the hot late summer sun by snorkeling a few areas. Snorkeling in the current takes a bit of practice. 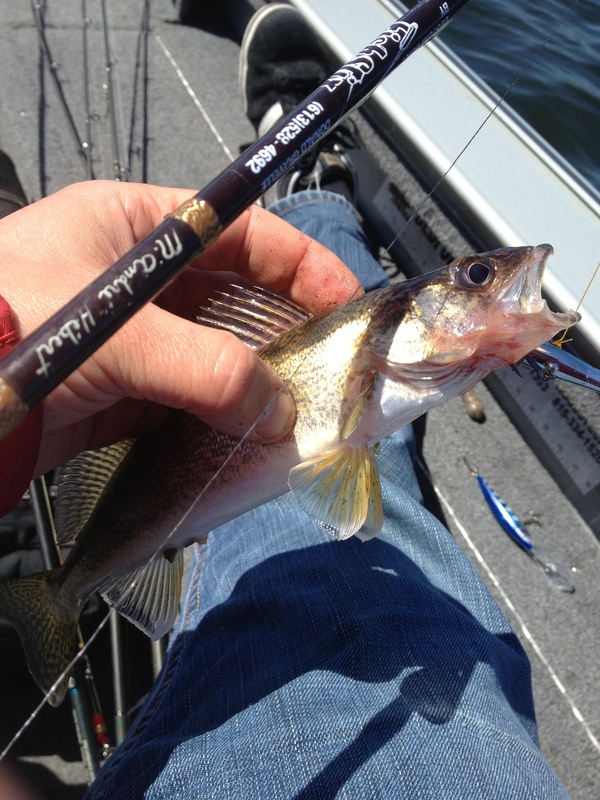 You need to learn to pop your ears and dive to at least 15 feet to get to walleye holding areas, but as you can see, once you get the hang of it you can reap some really interesting rewards. You can also swallow a gallon of lake-water, but that’s all part of the charm. Either way, looking at the world below the surface whether it be with an underwater camera, snorkeling or even scuba-diving is a lot of fun, and can only help an angler figure out the big picture. 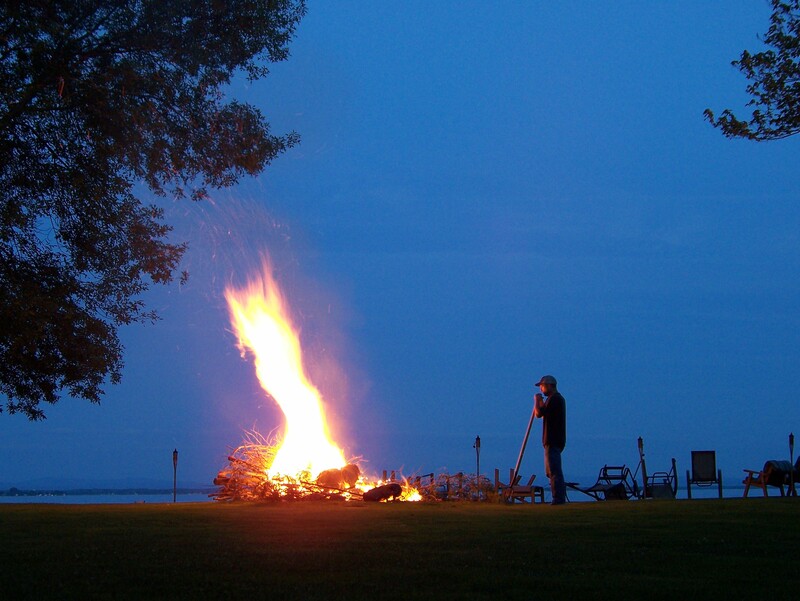 As we enjoyed some of the morning’s fresh walleye and a bonfire by the water, I thought I would try my luck for the evening bite. This would prove to be an excellent decision. If you know there are fish in an area, I recommend trying to get them to bite in the last few hours of daylight. I suspect you will have much better luck. I know I do. Fish move tight to structure at sundown and do so to for only one reason, to put the feed-bag on. I think the lower light also helps better conceal lures and fools fish that otherwise would be wary of your presentation in broad daylight. I’ve made some amazing catches in July and August in the middle of a sunny day before, but this year I’ve had much better success finding fish in low light conditions. As far as quality goes, almost all of my big fish were caught with the sun almost or completely down as well. As most fishing things go, this is by no means guaranteed science, but I can say that after a full day on the water, some added experience and knowledge and hours on the water, a fish like this one makes it all worthwhile. 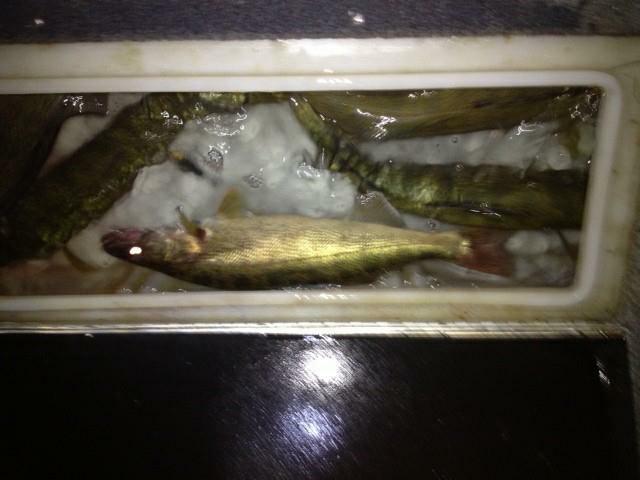 Not to mention the other 10 fish we put in the boat that night.